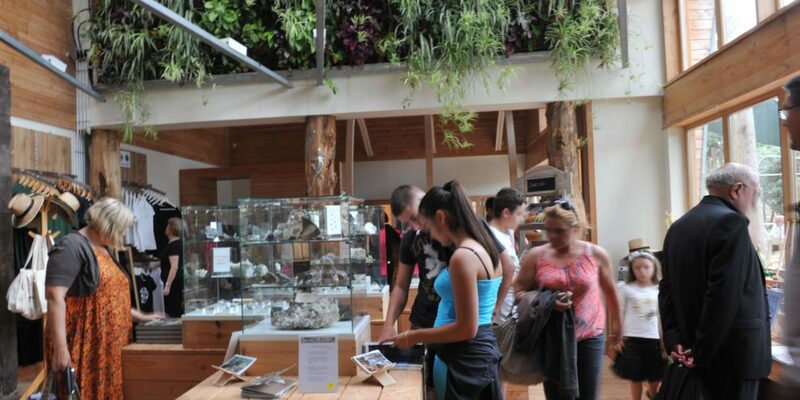 In addition to discovering the Grotte de la Salamandre by the Guided Tour, the Grand Rappel and the Coulisses, the site of the Grotte offers services and activities that will allow you to spend half a day or a full day on the spot, taking full advantage of our beautiful terrace and neighboring facilities. The site has been open to the public since 2013. It has been awarded 2 stars by the Michelin Green Guide and is labeled “Qualité Tourisme”, “Sud de France”, “Tourisme et Handicaps” and “Famille Plus”, for your comfort and safety. You will appreciate the architecture of the welcome center that we owe to the architect Jean-François Daures. Enjoy the terrace to quench your thirst, savor a small snack or enjoy an icecream! We offer a wide choice of drinks as well as “slates” (the “speleo” and the “vegetarian”) made mainly from local products. These products, as well as our homemade ice creams and other sweets are served at any time! The terrace overlooking the garrigue – our green desert – is shaded and equipped with misters. From here you can see the children frolicking in their special adventure set. The reception building houses a boutique that offers original and quality products. Very beautiful minerals from the region and elsewhere, jewelery, organic cotton textile items, specialized bookshop, games for all ages and regional products. Lift your eyes and admire the superb vegetal wall that adorns the ceiling. Children under 10 can not practice the Grand Rappel or the Coulisses. 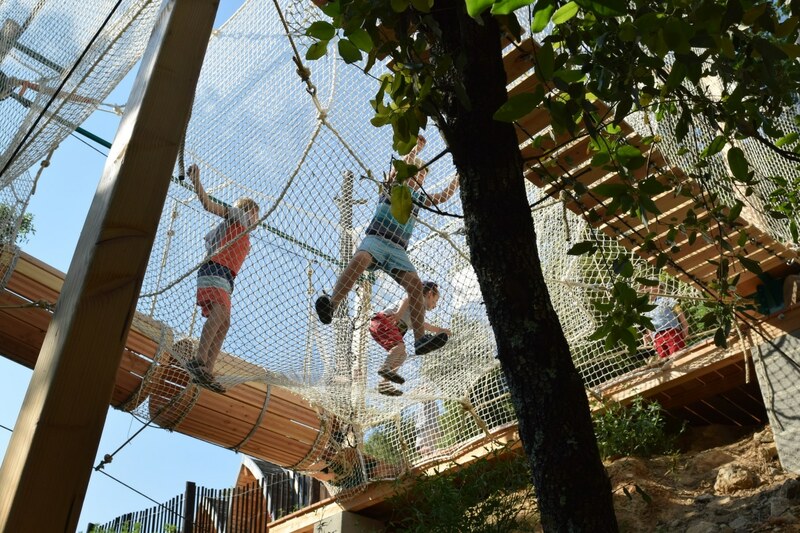 But we have designed a mini-adventure trail with safety nets all around, which allows them to practice activities at height, without equipment and in safety! For those who want to have lunch outside the crowd, the site of the Grotte de la Salamandre has a very shaded picnic area with large tables to accommodate about fifty people seated. You will be welcome if you bring your meals, but you can also sit quietly with the products from our snack bar.